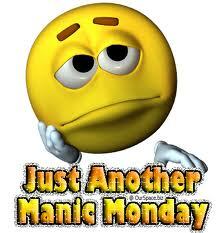 Manic Monday is a feature I hope to run every Monday – provided folks out there in the “mainstream” keep supplying the fodder. Chintzy graphics are part of the fun – I mean watch the music video. An absolutely insane article went up on yahoo a few weeks ago, courtesy of health.com. My first instinct was to write a point by point rebuttal in which I actually cited sources (as opposed to what is done in the article, alluding to “research” and “studies”), but it honestly doesn’t deserve my time. Instead, I will address a suggestion made in almost every article like this one, that a diet containing all “food groups” is somehow superior to the alternative. Admittedly, I will stoop low enough to mock a few silly quotes. “Dieters feel so empowered once they lose weight on carbs. For the first time, they are able to lose weight by eating in a balanced manner, without cutting out entire food groups,” says Sari Greaves, a registered dietitian and spokesperson for the American Dietetic Association. I have a love-hate relationship with this quote. I love that our RN friend “Sari” suggests that dieters will feel extra “empowered” if they are able to lose weight on a high-carb diet, because it sounds like she’s implying that it is harder to lose weight that way. I love this because I agree with her; it is very hard to lose weight on a high-carb diet, but I would hardly call muscle-wasting, crippling cravings, and drowsiness “empowering.” Also, I love love love that she says that someone losing weight on a high-carb diet would be “the first time”. I discourage any diet that disallows entire food groups. That gem is from Cornell Mclellan, President Obama’s trainer, who also happens to be vegan. Now I’m no expert in this specific field of nutrition, but I’m pretty sure meat is a “food group.” (Edit: It is not. They call it the “Proteins Group” and they have tips for vegetarians. Tips like eat soy. That’s a good idea.) Please go see evolvify for a total tear-down of the release this quote crawled out of. Either way, here’s my complaint (and the reason I began writing this post, waaay up there): The quality of a diet should not be judged on its inclusion of arbitrary categories of edible goods. 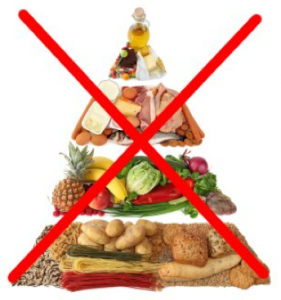 “Food Groups” are simply haphazard (and hazardous) government-defined classifications. For instance, there is both a “Vegetable Group” and a “Grains Group,” but corn is in the former, despite the fact everyone agrees it belongs in the latter. These are not scientific distinctions, and they are not divided into groups that represent dietary requirements. Let your mind wander with me for a moment. You have a messy garage full of tons of tools, and you ask me to organize them for you. I split your garage-dwelling valuables into five “Tool Groups”: Wrenches, Screwdrivers, Saws, Hammers, and Pliers. So the groups aren’t perfect or all-encompassing, but they provide a workable framework for garage organization. You understand that I have done my job and pay me my due. Fast forward a few years. Your best friend calls, she has car trouble on the side of the highway and wants your help. You throw some stuff from your garage into your pickup truck and hit the gas – only to screech to a stop at the foot of your driveway because someone is standing in the way! It’s me, and I’m back with a vengeance. I inform you that I can’t allow you to leave without taking at least one tool from each of the tool-box categories. UPDATE: 2+Months later, the same articles are being written, and our community still thinks it’s stupid.